British School at Athens Studies in Greek Antiquity builds on the School's long-standing engagement with the study of ancient Greece from prehistory to Late Antiquity. This series aims to explore a wide range of topics through a variety of approaches attractive to anyone with interests in the ancient Greek world. 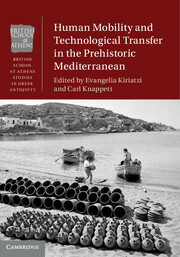 Receive email alerts on new books, offers and news in British School at Athens Studies in Greek Antiquity.